If you're thinking of bringing wood-effect tiling into your home, then you wouldn't be alone. They are fast becoming the hottest trend in the industry as many homeowners want to incorporate wood within their rooms, without the limitations which come with the real thing. 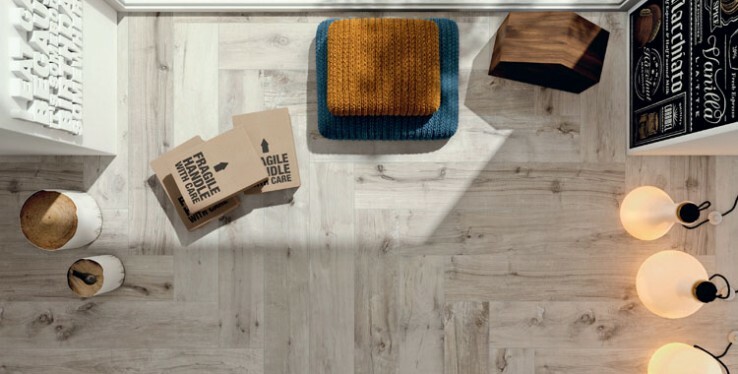 Wood-effect tiles can give your home a contemporary and natural finish, at a surprisingly affordable cost. These porcelain tiles essentially allow you to put 'wood' where you never thought was possible. Whether it's on interior walls, in the shower or on your living room floors, the only limit is your imagination! Wood-effect tiles cater for everyone's taste as they come in variety of shades and sizes. As they are tiles, they're also easier to install than wood and you can choose different layout patterns including: herringbone, brick-bond and grid lay-out. Using sustainable products within the home is important and buying wood-effect tiles can also help contribute to a better future. With 200 million trees cut down each year, wood-look flooring offers the same aesthetics as real wood, without the damaging effects to the environment. The upkeep of the tiles is effortless as they do not fade, warp or scratch and are not affected by leaks or spillages, so they won't need replacing anytime soon which of course saves money in the long run. Bonus! For more information on our wood-effect ranges, visit our Cheadle showroom or call us on 0161 485 1373.